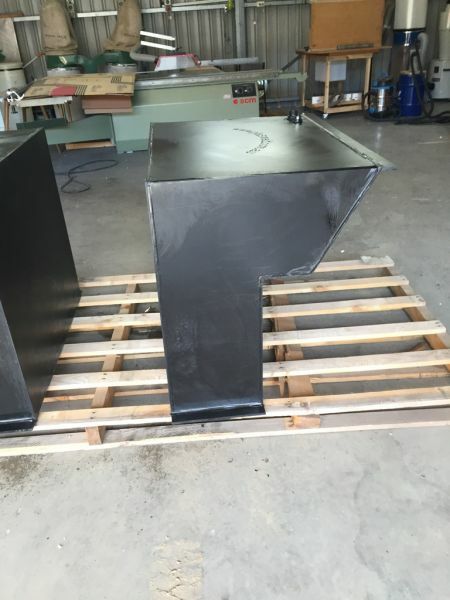 As a custom fabricator Plasweld can make tanks in all shapes and sizes. 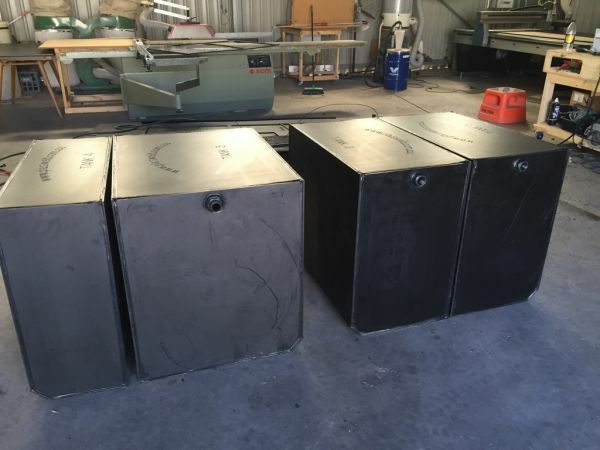 We have made huge water tanks (like the black ones pictured) for Mt Isa Mines right down to small grey water tanks for motor homes and house boats. 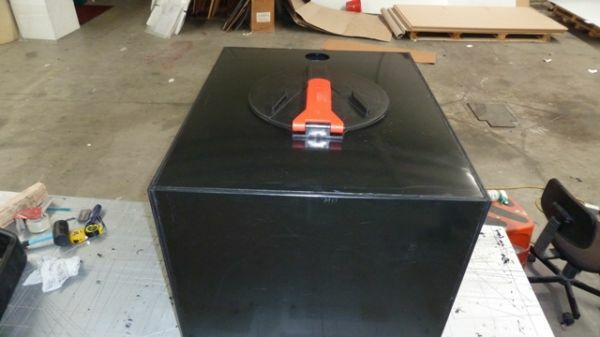 All our tanks are hand made from high grade rigid HDPE, PE 100, or Polypropylene. We use a combination of hot air and extrusion welding to the internationally recognized standard DVS 2205. 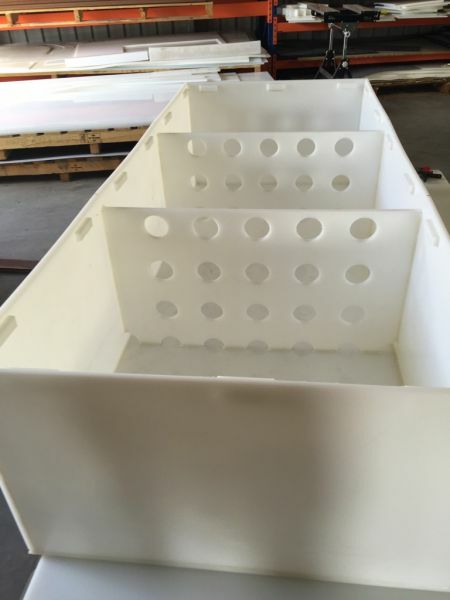 We use these fabrication techniques to produce a wide range of chemical bunds, dosing tanks, laboratory sinks, spill receptors and more. 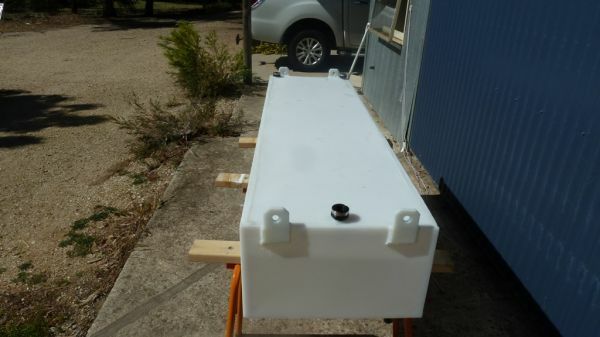 We specialise in tanks for potable water in Rv’s, motor homes, caravans and 4WDs. 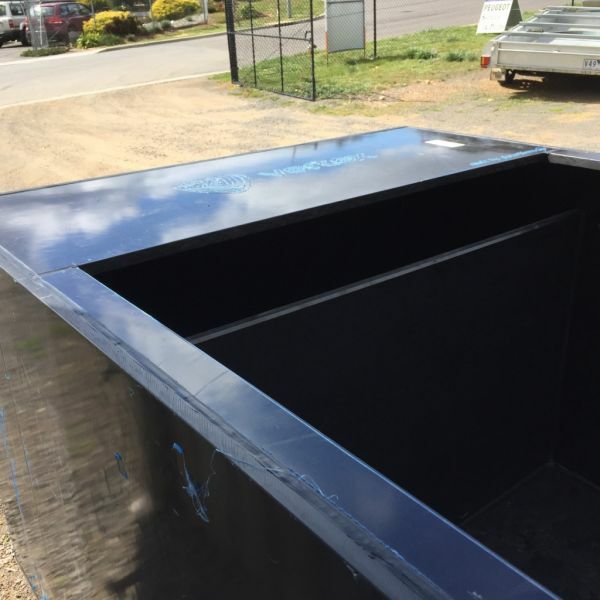 Our water tanks are made from food grade polyethylene and in most cases we use 10mm thick sheet which means they are up to 3 times thicker than cheaper, mass produced roto moulded tanks. 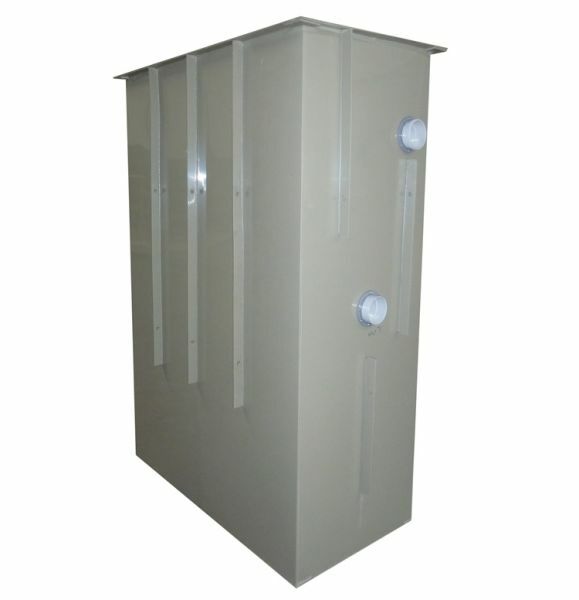 We include baffles and welded-in fittings and can fabricate to almost any size and shape. All of our tanks are leak tested and all workmanship is guaranteed. Check out the pictures of past projects – we are always updating. 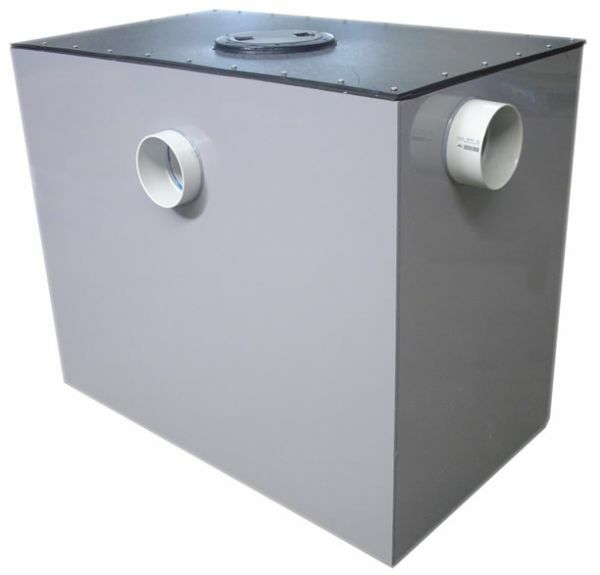 We make tanks in all shapes and sizes for grey water, black water and potable water. 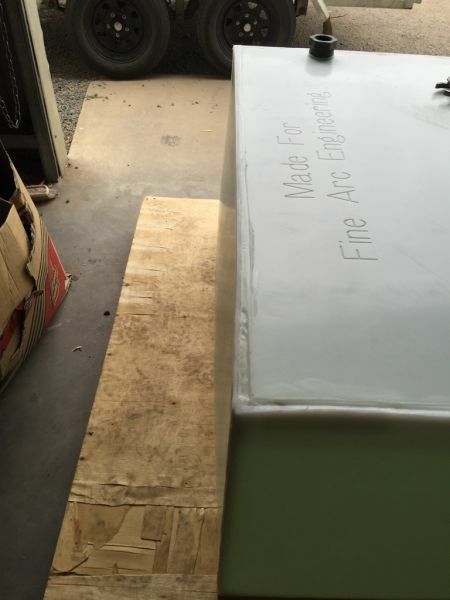 This tank was made in an L shape with sloping front to fit into a tight space within a motor home. It is for drinking water and holds about 380 litres. 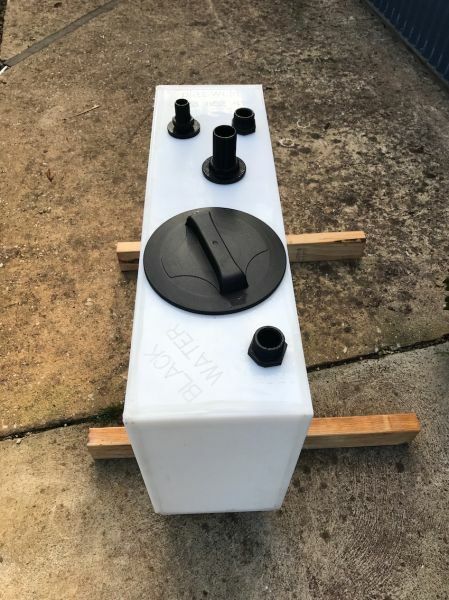 A typical above ground grease trap made from PVC. Yet another unusual request. This time a grease trap for a house boat. Nothing unusual about that you may say but considering it only holds 20 litres it seemed like a lot of effort for a small result. However the EPA is South Australia is getting tough (as they should) on dumping waste directly into the Murray River. 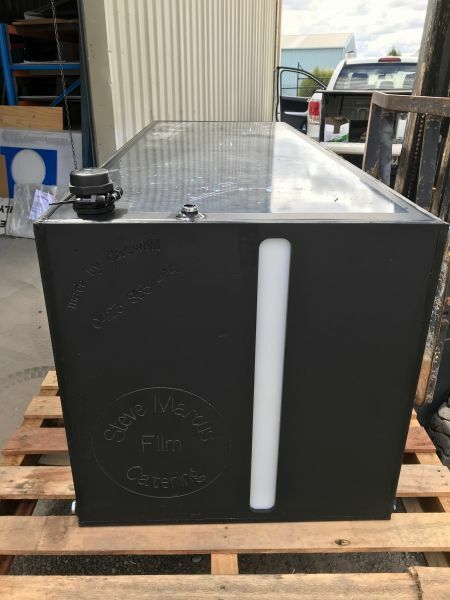 We made this little watertight acrylic tank for a hospital in Victoria. They use it to thaw plasma. You can see the acrylic hangers which sit on the lip of the tank to which the bags of frozen plasma are attached. 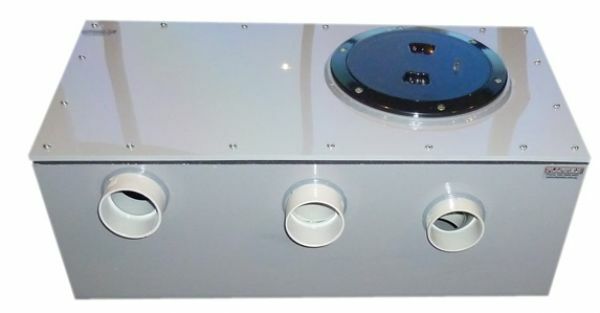 A special heater unit is attached to the back of the tank to warm the water and the lid (which has a recess in it to accommodate the heater) can be put in place to save residual heat. It also has a sturdy metal tap for drainage. Apparently these units are usually imported for the U.S. at a cost of several thousand dollars however we were able to produce ours for less than a quarter of the price. This is a 60 litre plaster trap on a stainless steel trolley. Because of limited space under the sink it needed to be made in a special configuration which could be wheeled out from under the bench. We made about 30 for a children's hospital. Flowers used in the florist industry are apparently dyed and shipped all around the world. Who knew! 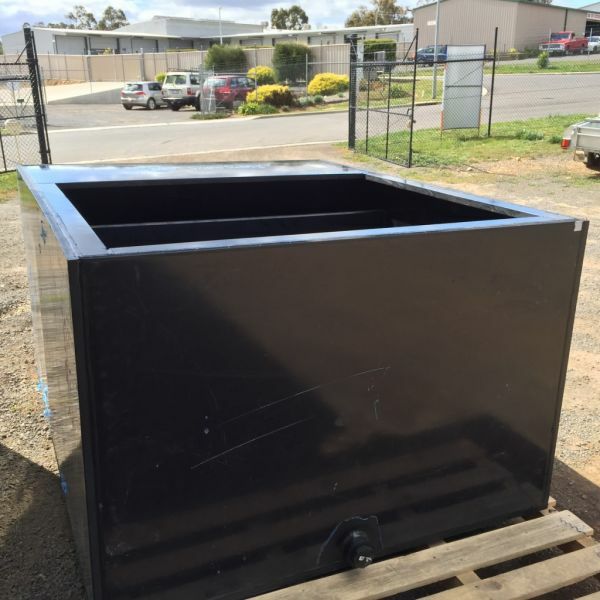 This tank, 1100mm square with fitted lid and handles was made for such a task. Polypropylene tank with various welded fittings for use in a desalination plant. 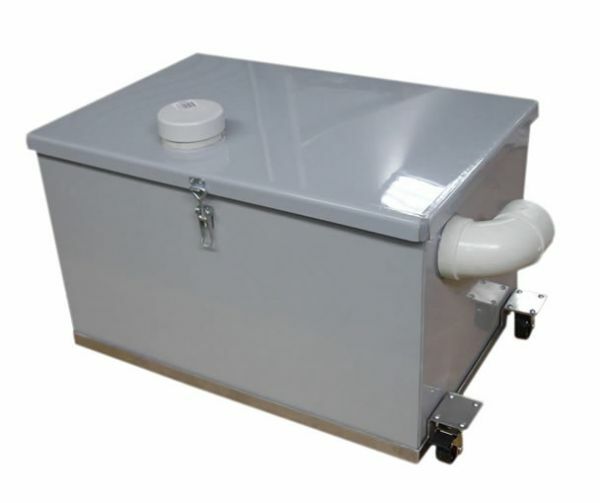 This 1000 litre above ground grease interceptor is typical of the high quality we achieve. Note the galvanised steel bracing, polypropylene removable lid and two twist turn inspection ports. 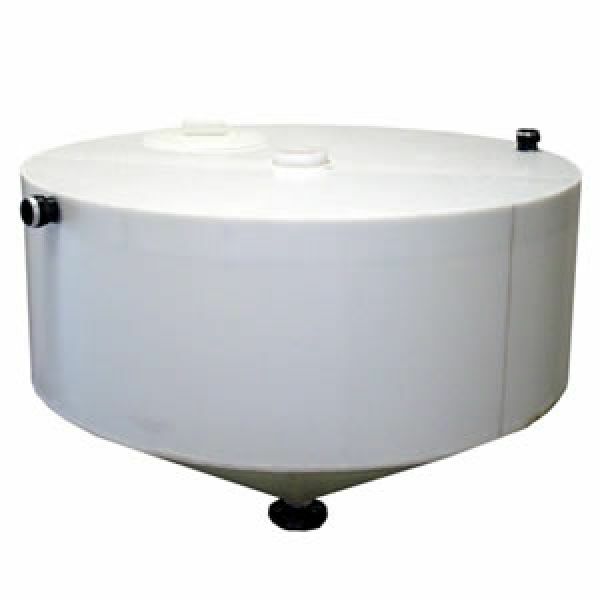 This in-ground acid neutraliser tank only holds 1100 litres but is almost 2.2 metres tall. The plumber asked for this design specifically and, whist it is a pretty big variance from our usual design we were happy to help. 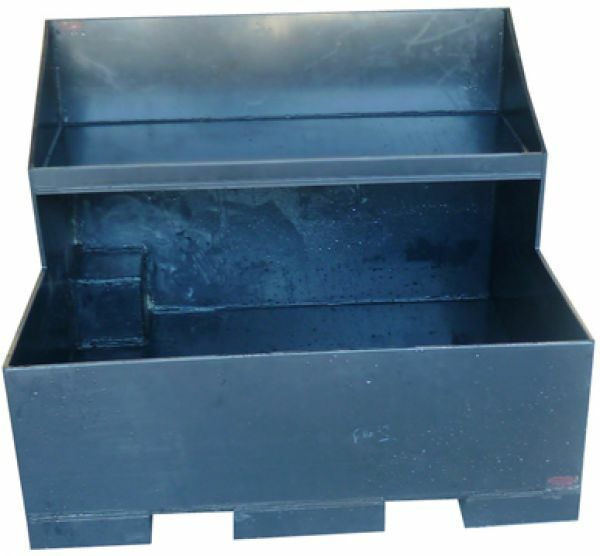 This acid resistant tank was made to hold an acid bath for the purpose of cleaning greasy metal parts. It was 3000mm long, 1500mm high and 1000mm wide and held around 4500 litres. 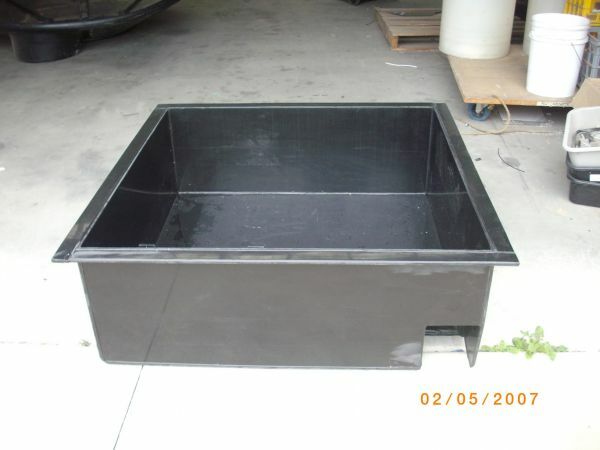 This water cartage tanks is made from 10mm thick HDPE sheet. It has a twist lock, hinged lid and 4 way internal baffles. On the side not show are 5 off 3/4" threaded female adaptors. It holds around 640 litres and was specially made to this configuration for our customer. 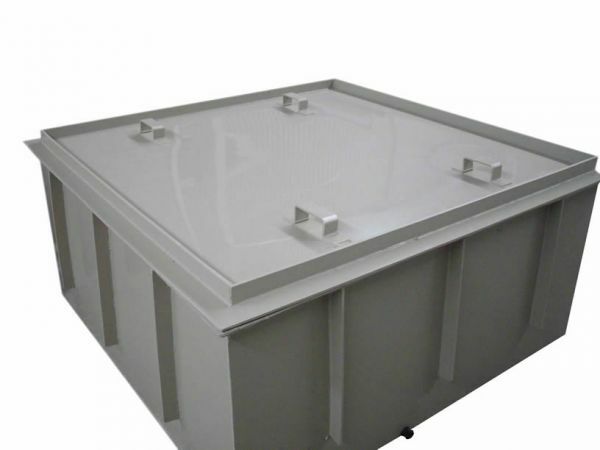 Plasweld was asked by a leading food manufacturer to make a self bunded tank to contain phosphoric acid. 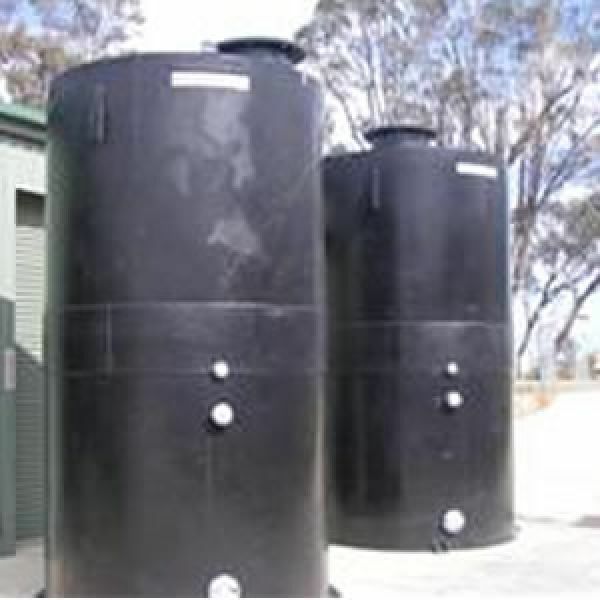 The tanks pictured hold just over 1700 litres and are made from HDPE sheet. This picture shows the inner holding tank, which is fully reinforced with steel surround, being slid inside the outer skin. 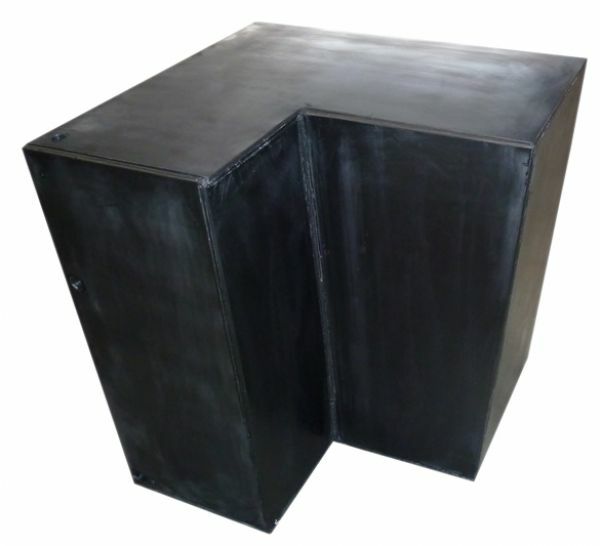 The outer skin or bund has a capacity of 110% and was also fully reinforced with a stainless steel frame (not shown). This picture shows the inner and outer tanks combined. Note the silhouette of the internal steel frame, lifting lugs and weather proof top flange. This picture provided detail of the top. You can see various threaded PE fittings along with a quality hinged 355mm diametre inspection hatch. 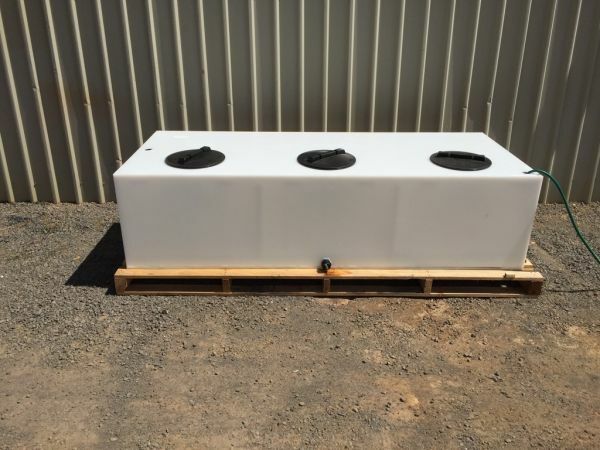 These three tanks and bund were made to contain and dispense Enzymatic Prosoak solution commonly used in hospitals and commercial cleaning applications. And this is the result. As you can see this tank has multiple folds to allow it to fit the space. It holds at least as much as the 3 Jerry cans it replaced and then some. A 2" filler can be seen and just out of shot is a outlet which feeds from the bottom of the tank. A small 12V pump is fitted under cover on the mud guard delivering water on demand. The tank and pump sit withing the line of the camper so that the off road capability is not affected. 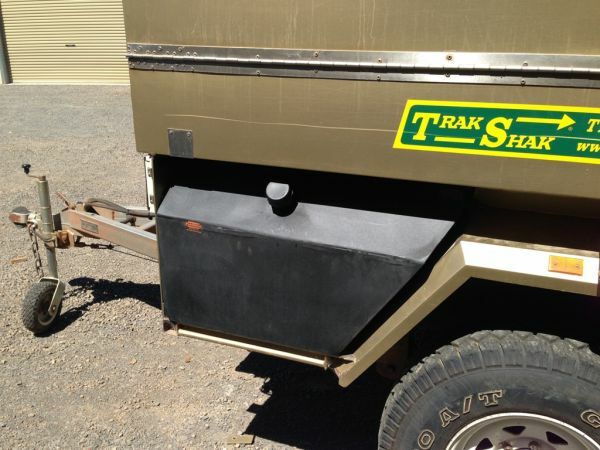 This customer had an off road camper trailer which had a storage compartment for 3 Jerry cans. He was getting a bit tired of having to lug out 20 kilos of water every time he needed to wash his hands or have a drink. 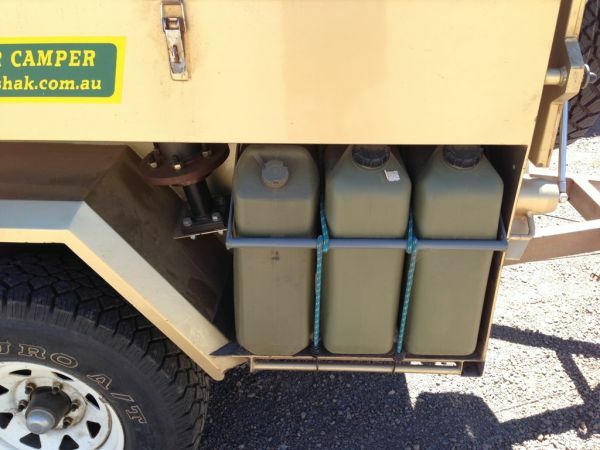 So he asked us to design a tank to suit this compartment and replace all the Jerry cans (see after photo). Yet another custom motor home tank designed by our customer. 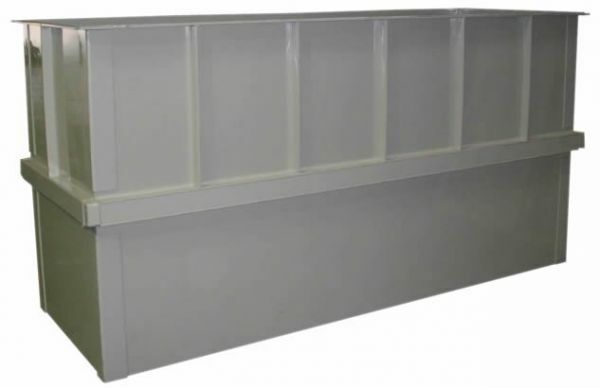 This one is 1700mm long x 500mm wide x 400mm high and made from 10mm food grade HDPE. It has a number of fittings for inlets, outlets and breathers as well as lifting lugs for easy removal from the van. 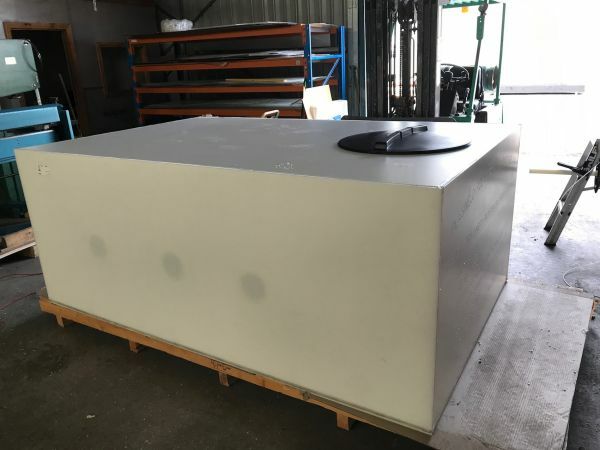 A standard order for one of our customers in water treatment, this tank is 600 litres, measures 1200mm high x 1100mm wide x 500mm deep, has 2 internal baffles and 2 x 355mm inspection ports. Hard to tell from the photo but this tank is rather large and shaped like a wedge. It tapers right to left and top to bottom. It has 4 internal baffles and we engraved the top with instructions for orientation. 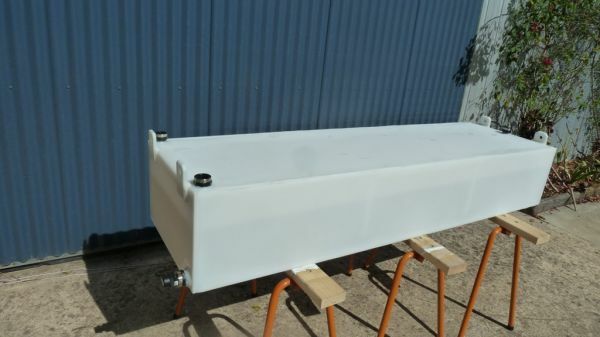 We made two for use as potable water tanks on a barge operating in far north NSW. 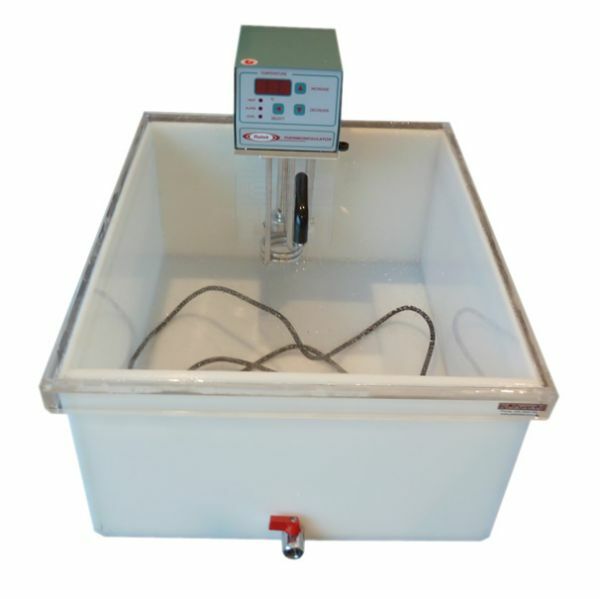 Thumping big tanks for use in electroplating. 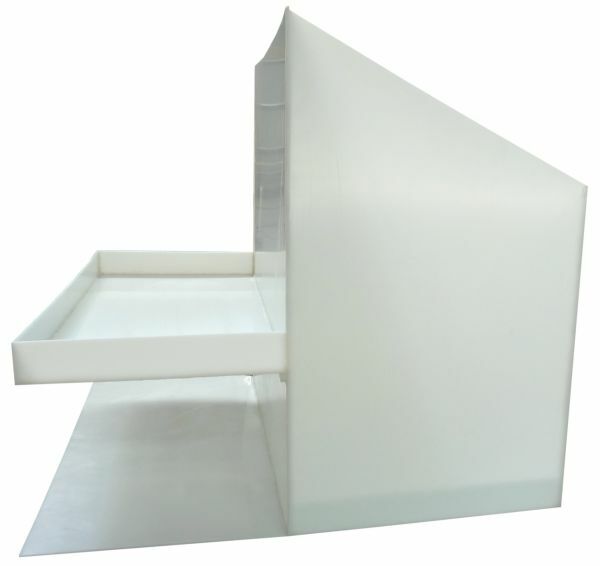 Made from 25mm thick acid resistant polypropylene they measure 1700mm x 1500mm x 900mm high. Motor mounting plates at rear, intermediate baffle and lots of reinforced ribbing all around. We made 5 of these. Another shot of the plating tank. On 2 of the models we are asked to cut holes in the baffles which we did on our CNC machine for a neat and ordered appearance. Sometimes we engrave products for instructional, safety or branding purposes. We could engrave your logo if you wanted. It's hard to get too excited about a grease trap but this one looks pretty good with the capacity engraved in the lid. 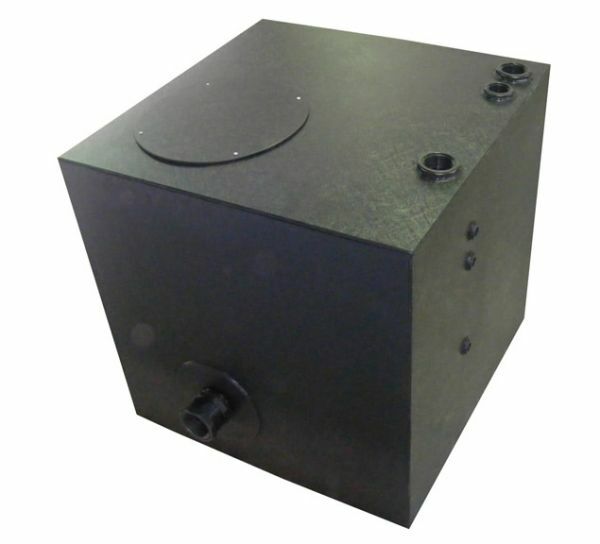 Built from 10mm poly it will outlast just about any other tank on the market. You do get what you pay for as they say. So, having made the Katherine crew drinking water tanks, we also had to make tanks to dispose of what the body want retain. Yes, you guessed it - Black water tanks. 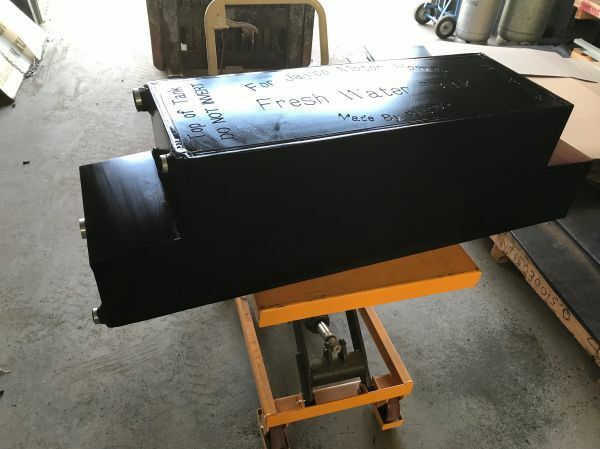 We made this heavy duty tank for a company that tests submersible pumps used in the mining industry. It is made from 25mm HDPE sheet. For a little extra value add at no additional charge we often engrave our customer's name or logo into the job. We make a lot of tanks for customers converting buses and coaches to RV motor homes. 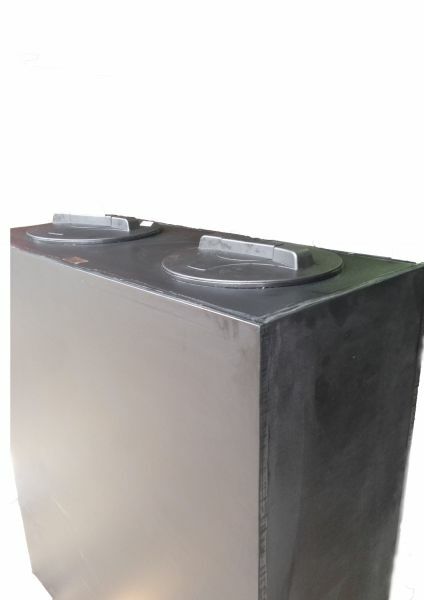 Here is another set of 4 to store potable, grey and black water. Note the angle on the bottom to allow fitment in between bearers in the cargo area of the coach. Every now and then a customer throw us a tricky one. You can tell by the unusual shape that the customer wanted these tanks to go into a very odd shaped space within their coach. Based in South Australia he couldn't find anyone will to take on the challenge so he drove all the way over to Castlemaine to commission us for the build. Two tanks - no problem. Happy customers - no problem. This black water tank was designed for a yacht. It utilises a siphon pickup system so all fittings are through the top. It also has a 255mm inspection port to allow easy cleaning. Material is 10mm thick translucent PE. 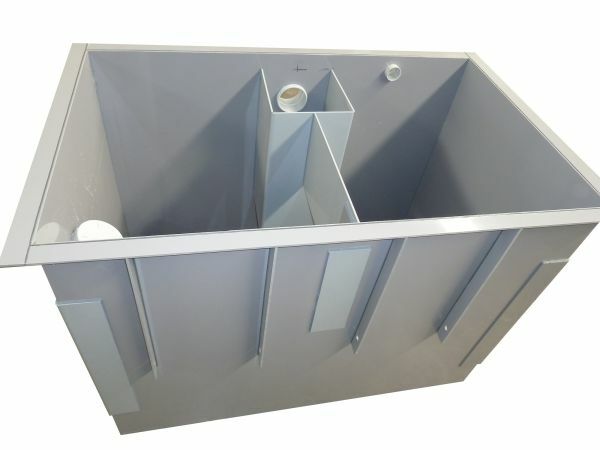 This rather large (3000mm x 1200mm x 950mm high) tank was designed as a holding tank for a public, remote area toilet system. It is translucent which allows the level of contents to be easily seen. It also has a 600mm inspection hatch for easy access and suspended internal bracing that ensures no impediment to cleaning. Material is 15mm PE (reinforced). 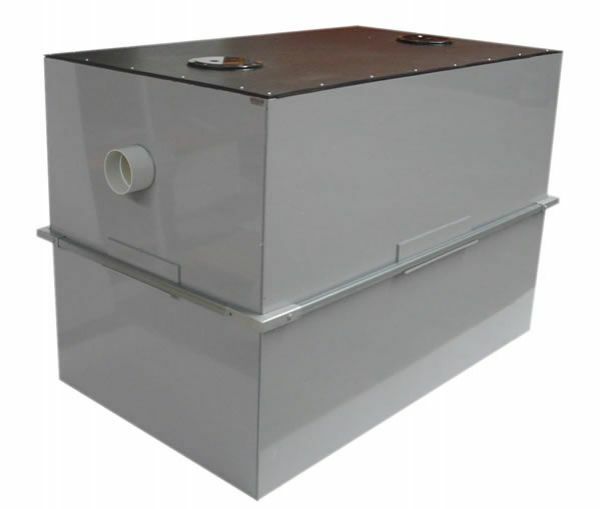 This tank was designed to hold chemical for treatment of cooling towers in commercial HVAC systems. It is made for 10mm UV stable black PE. This tank was destined for a coach equipped as a mobile catering business for film and television. 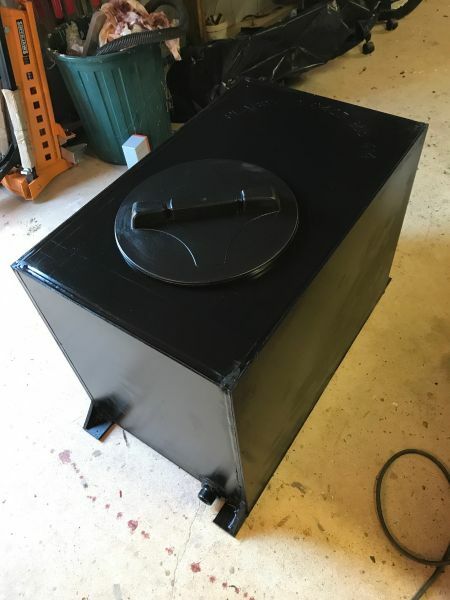 The customer had nothing but problems with his original stainless steel version and this poly tank should give him years and years of trouble free service. Complete with baffles, inlet, outlet and breather the tank also sports a translucent level indicator. Another unusually shaped tank, this time for a Fiat Ducato Motor Home.